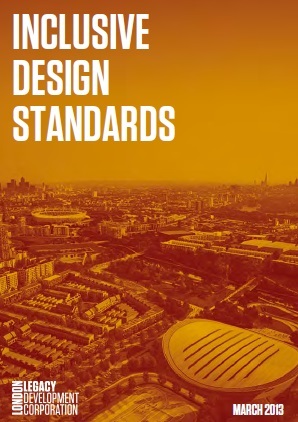 This document sets out the design standards used by the Olympic Delivery Authority (ODA) as a part of the Olympic Legacy process. It develops the guidance and widens its application to developments beyond sporting activities. It is seen as “…a benchmark against which a project team’s performance can be measured and reported…The standards are helpful to designers by explaining the design intent and highlighting relevant good practice.” (LLDC Inclusive Design Standards). A key section is the “Design Management Procedures” which sets out who should be involved and the procedures they should follow.